This lightened-up chicken salad is perfect to prep on the weekend and enjoy on sandwiches, in wraps, as a salad topper or with crackers all week! Filled with celery, apples and almonds for a sweet, tangy recipe. Recipe and photography courtesy of Aggie of Aggie’s Kitchen. Combine chicken, celery, apples and almonds in large bowl. Mix Greek yogurt, mayonnaise, apple cider vinegar and tarragon in separate bowl. Add to chicken and gently stir until combined well. Add cheese and mix well. Season with salt and pepper, to taste. 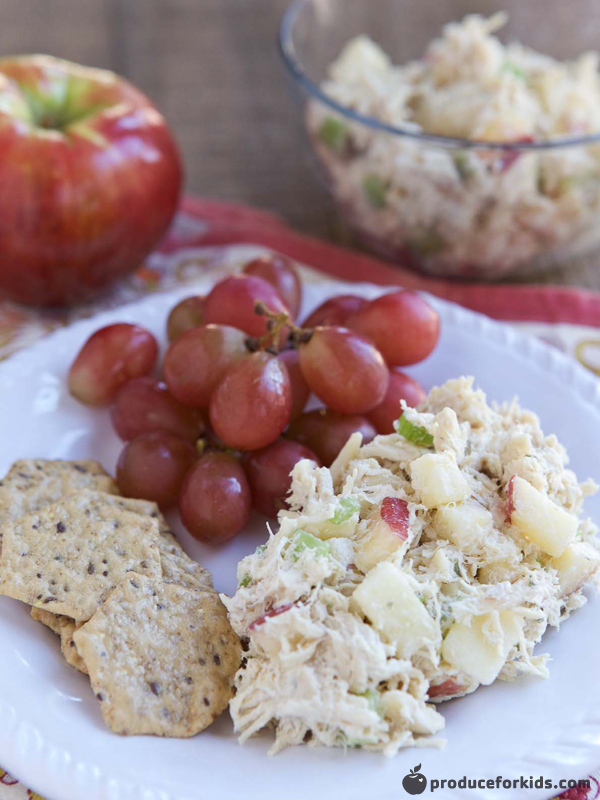 Serve chicken salad with whole grain crackers, in a whole grain wrap or on a bed of fresh salad greens.